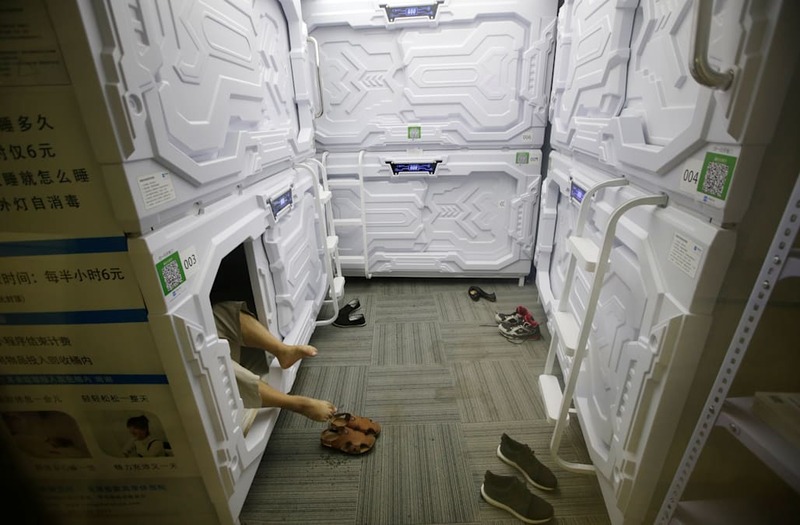 BEIJING (Reuters) - For China's sleep-deprived white-collar workers needing a place for a nap, a booming "sharing economy" offering a growing range of services has come up with a cheap, mobile-friendly solution: capsule hotels. With an easy phone scan, customers can book a nap in a sleek white capsule - designed to look like a space pod - for just $1.50 for half an hour during the mid-day rush. The rate drops to only 6 yuan at other times. "It's really meeting a rigid demand as many professionals have a difficult time finding a nice private place to nap," said Han Yue, operations manager at Xiangshui Space, a Beijing-based start-up which launched the services in Beijing in May and has since opened up in Shanghai and Chengdu. An IT employee takes off shoes as he prepares to sleep in a capsule bed unit at Xiangshui Space during lunch break in Beijing's Zhongguancun area, China July 11, 2017. Office workers are interested in the capsule bed units at Xiangshui Space during lunch break in Beijing's Zhongguancun area, China July 11, 2017. Shoes are placed outside capsule bed units at Xiangshui Space during lunch break in Beijing's Zhongguancun area, China July 11, 2017. A woman checks the capsule bed unit next to a staff member at Xiangshui Space during lunch break in Beijing's Zhongguancun area, China July 11, 2017. A woman waits to enter a capsule bed unit at Xiangshui Space during lunch break in Beijing's Zhongguancun area, China July 11, 2017. A staff member gives mute earplugs to a customer as he prepares to sleep in a capsule bed unit at Xiangshui Space during lunch break in Beijing's Zhongguancun area, China July 11, 2017. A man uses an application to open a capsule bed unit at Xiangshui Space during lunch break in Beijing's Zhongguancun area, China July 11, 2017. A woman's shoes are placed outside a capsule bed unit at Xiangshui Space during lunch break in Beijing's Zhongguancun area, China July 11, 2017. Inner view of a capsule bed unit is pictured at Xiangshui Space in Beijing's Zhongguancun area, China July 11, 2017. A man climbs up a ladder as he prepares to sleep in a capsule bed unit at Xiangshui Space during lunch break in Beijing's Zhongguancun area, China July 11, 2017. Han said her capsules were different to Japan's capsule hotels, because she was targeting a different type of customer, those looking for a quick nap, not a full night of sleep. The company plans to extend to cities such as Qingdao, Nanjing and Shenzhen by the end of July or early August, she said. China's rapidly expanding "sharing economy", exemplified by the success of bike-sharing companies such as Mobike and Ofo, has inspired a wave of "sharing" enterprises backed by a funding frenzy powered by so-called angel investors and venture capital firms. China's "sharing economy" is expected to grow about 40 percent this year to $705 billion. 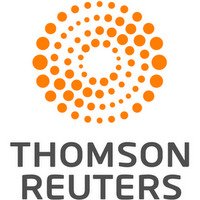 By 2020, it could account for a tenth of gross domestic product.